It's been weeks of wet, steamy weather and constant heavy rain has been the source of much grumbling at home and work, but deep down, under all that soggy leaf autumn leaf litter, there's magic happening. 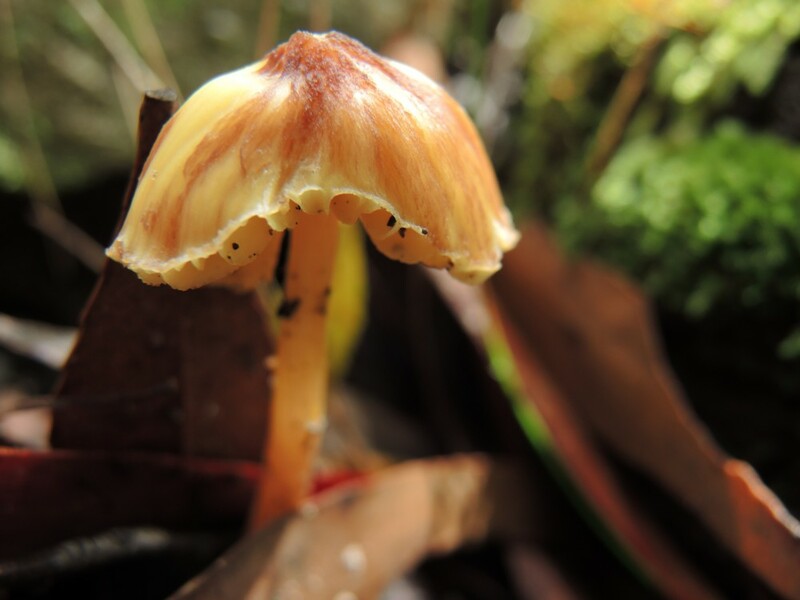 Often overlooked, the Central Coast’s national parks are home to a wide variety of beautiful and sometimes surprising mushroom species – or fungi – and fungi foraging is best done throughout the cooler, often wetter, months of autumn. Fungi are not hard to find, you just have to keep a keen eye out for them. Once you train your eye to spy them it’s amazing how many you’ll find. 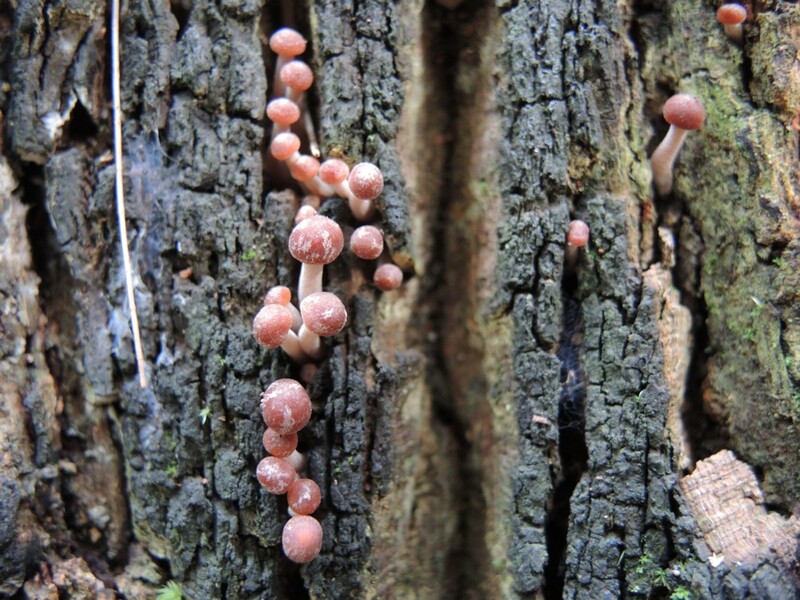 Children too can be enticed into the great outdoors with a good fungi forage. Either they’ll love the enchantment of the magical and mysterious, or the competition to be first to spy a hidden specimen. What follows are my tips to a successful autumn fungi forage. A few days following rain is the best time for a fungi forage; or anywhere you know prone to dark, cool, damp conditions through autumn. 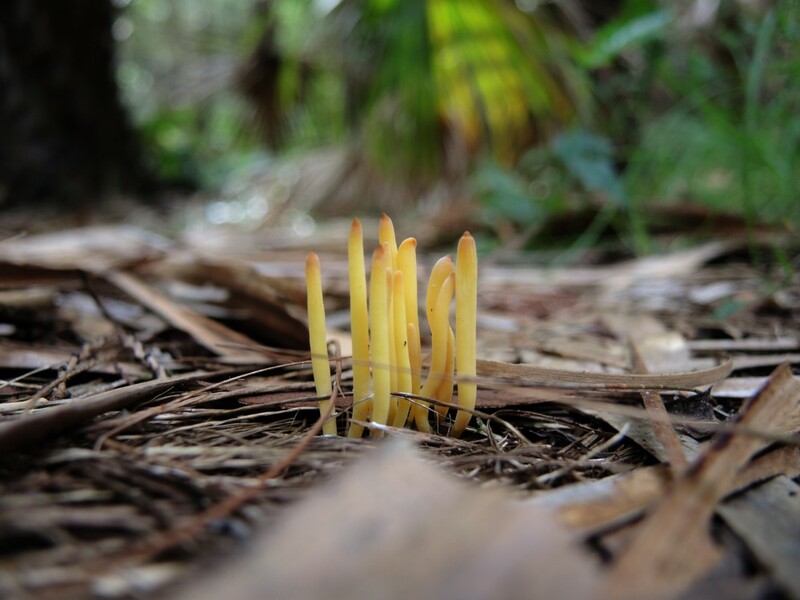 Fungi can be found in many forms in many places, but my favourite places for funding fungi include the Palm Grove Nature Reserve, near Gosford, and the Piles Creek Loop, in Brisbane Water National Park, also near Gosford. Other favourite locations are Mill Creek, in Dharug National Park near Wisemans Ferry and the easiest of the walks – great for kids – is the Palm Circuit in Munmorah State Conservation Area. 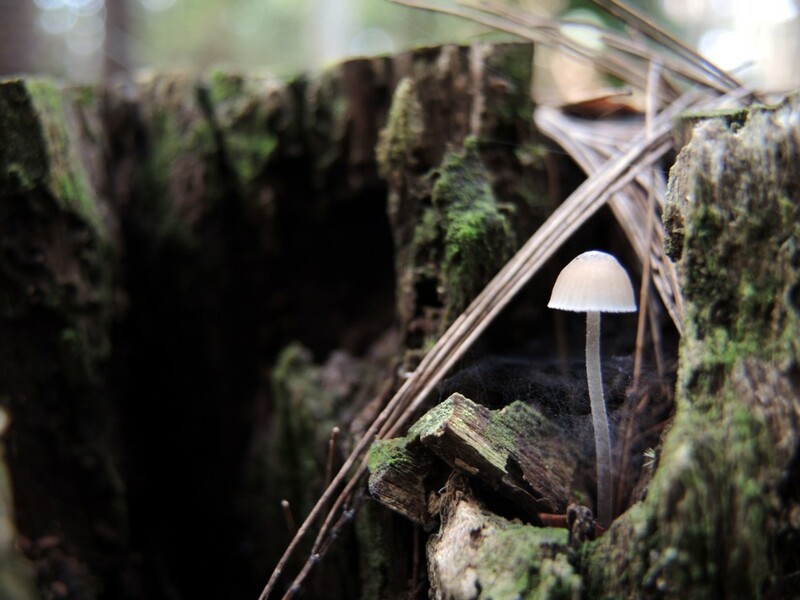 Fungi help break down fallen wood, branches and leaves into the compost-like matter that helps feed our natural environments. Keep your eyes peeled to leaf litter, fallen logs and hollows and decaying branches. Peering into the cavities of felled trees or behind and under fallen branches can uncover hidden away. Always walk to the elements, taking sun protection, or protection from the cold. At this time of the year, use insect repellant to avoid leeches. It’s true, there may be leeches on your trail but I find applying any of the stronger tropical repellants on my feet and up around my ankles before donning socks and boots does the trick. You can spray your boots too, for extra measure. If you’re walking to an existing trail, you won’t need a map, but it’s a good idea to familiarise yourself with the twists and turns of maps available on information bays in parks. Check the cost of parking at a national park. Most have parking meters accepting coin and cost less than $10 to park for the day. Don’t remove fungi. They’re part of the ecology and are doing an important job. Don’t try and smell or taste fungi unless you’re absolutely sure of what you’re doing. Some have clever protective measures which means the spores or secretions can have nasty side effects. Don’t eat the fungi you find. If you love to eat mushrooms, buy them from your nearest grocer. Don’t disturb decaying wood or reach into leaf litter without first checking they’re free of creepy crawlies. Some of our more unpleasant spiders and insects also like the damp, dark conditions favoured by fungi. Do take photos. Choose a smart phone app that supports macro photography, or carry a camera with a macro setting. Also be prepared for the low light conditions fungi are often found in. Do make return visits. 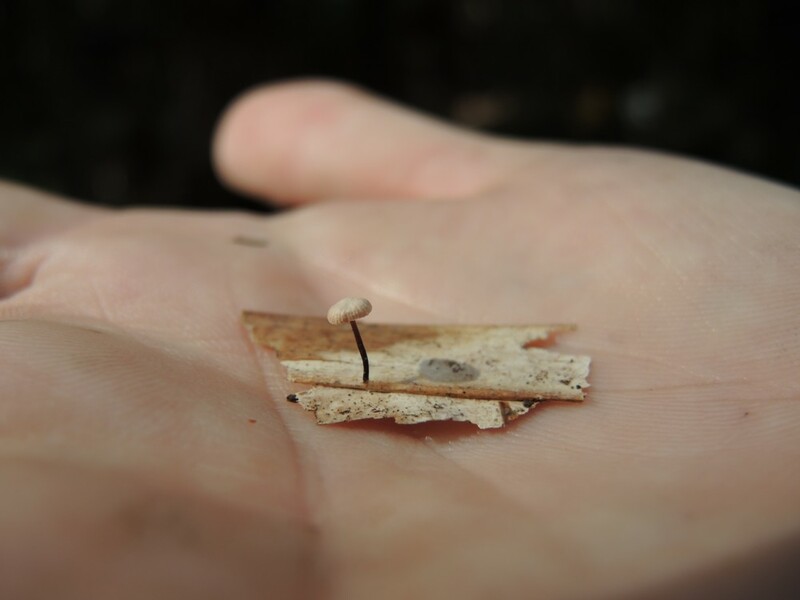 Fungi are short-lived. They emerge and ‘bloom’ in a day or two. Returning to a favourite walk a day or two later will often delight with new varieties to see. Do look high and low. 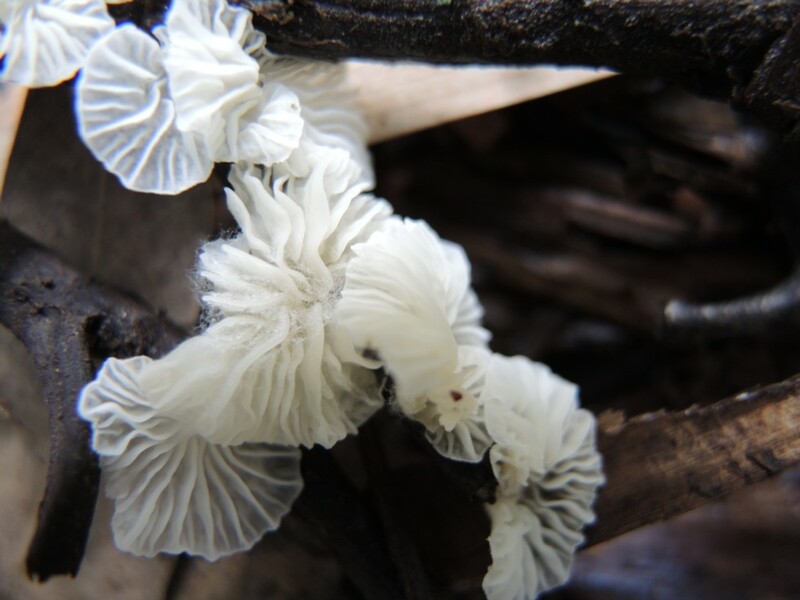 While most fungi can be found closer to the ground, stunning displays can be found higher up on trees where ground-dwelling animals haven’t disturbed them. This is a fascinating and informative post Kate. 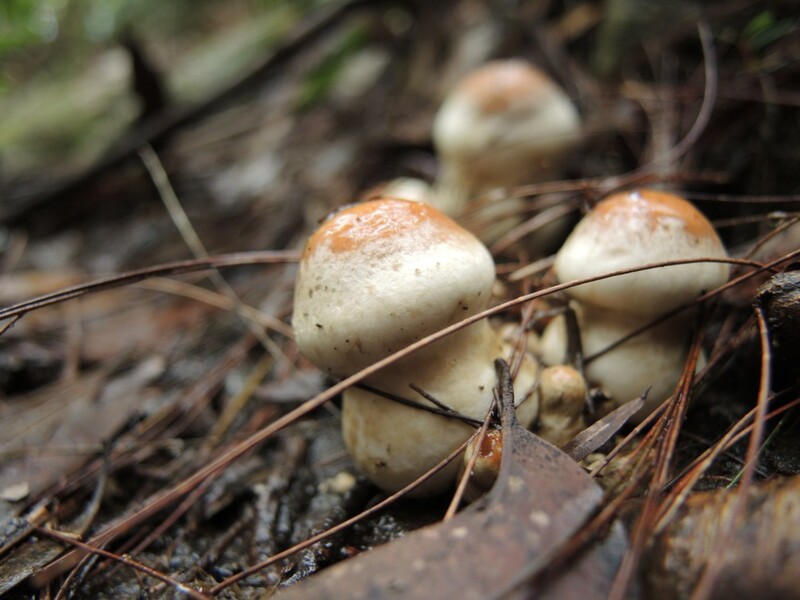 When the time and weather conditions are right we can get paddocks full of mushrooms growing in our part of the outback, which might surprise some people. Your photos have all the beautiful shades and tones of autumn.